ESP Websites now features new large banner templates! To select a new large banner template for use on your site, log into the ESP Websites Admin. After logging into the ESP Websites Admin, locate your site and then click on the Edit button. 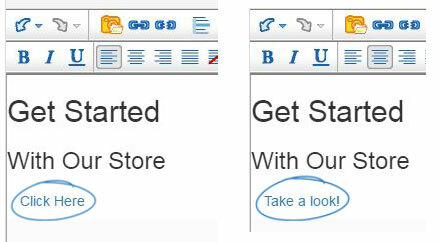 Click on the plus button to expand Edit Website Design menu and click on Templates & Colors. The new, large banner templates are available in the template listings. 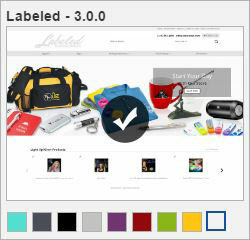 To preview the template in any of the color schemes, hover over the color swatch. The template you have selected is indicated by a large check mark. There will be a square around the color you have selected. Note: By choosing a new site template, any customizations made to your home page will be reset to system defaults and will need to be re-applied. 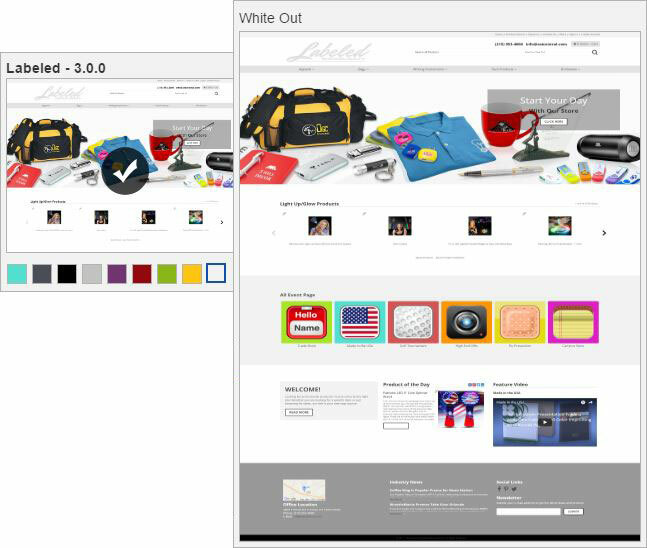 To make your new template and color scheme live, click on the Make Changes Live link. You will receive a notification that your changes have been successfully published. To customize the banner of your large image template, log into the ESP Websites Admin. After logging into the ESP Websites Admin, locate your site and then click on the Edit button. 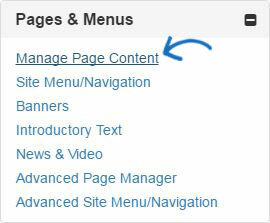 Click on the plus button to expand the Pages & Menus area and click on the Manage Page Content link. In the Manage Page Content area, you are able to manage the content of your ESP Website pages. 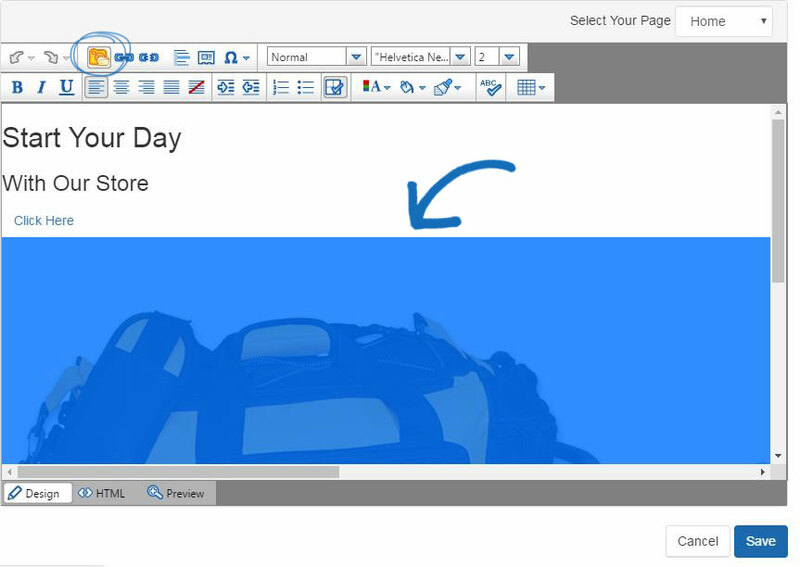 To customize the banner for your template, you will need to modify your homepage. Use the Select Your Page dropdown and select Home. To change the image, click directly on the image in design view of the editor. It will highlight in blue. Use the Upload Image Icon to upload a new image. Click on the Save button when you are finished. Then, click on the Make Changes Live link. In the Media Manager, click on the Upload Files button and navigate to the image. Images should be 1280 pixels wide to best fit the banner area. 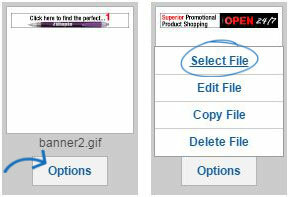 After selecting the file from your computer, hover on the image to see the Options button. Hover on Options and then click on the Select File link. 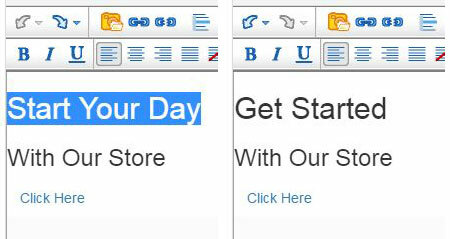 To change the text on your banner box, highlight the existing text and then type your new text. Click on Save when you are finished. The look and size of the text is automatically coded for you. 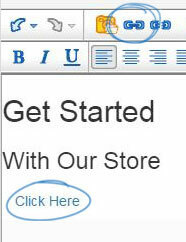 To change the text on the "click here" button, click on the hyperlink icon. In the Hyperlink Manager window, change the text in the Link Text box and then click on OK. The text of the button will now be updated. Click on the Save button and then click on the Make Changes Live link.